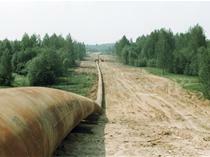 NOVOROSSIISK, Apr 13 (PRIME) -- Russian oil pipeline monopoly Transneft has finished its Sever-25 project to expand the capacity of the Sever oil product pipeline to 25 million tonnes annually 8.5 million tonnes, Igor Dyomin, adviser to the president of Transneft, told reporters on Friday. “Construction works have been finished, and the republic of Tatarstan-based oil refineries Taneco and Taif have been connected to the system,” he said. The project envisages higher diesel fuel exports via the Primorsk port and an upgrade of the pipelines previously used for crude deliveries for oil products transportation. The first stage was finished in 2016. The upgraded Sever pipeline needs additional technical checks this is why no date of commercial commissioning has been announced yet.